Have you ever sat down to your computer to crank out what should-be a quick blog post, only to find yourself pulling your hair out 2 hours later because no matter how much you change the fonts or move around the text on that Pinterest graphic, you still don’t feel like it fits your brand? With thousands of options available, it can be overwhelming to not only choose fonts for your blog (whether it be with your logo, Pinterest graphics, or marketing materials) but it can also be the very thing that prevents the perfectionist in you from hitting publish. Who would you trust more not to screw up your site? Which one do you think would cost more? If you guessed the one on the right to be the one you would A) Trust More and B) Pay More For – then you just saw firsthand how a font can shape a consumer’s opinion. The two companies could be run by the exact same guy, with the exact same service – but by simply rebranding one of the companies to look more luxury, he can attract higher end clients and in turn charge more for the exact same product. But how can that be?! The words say the exact same thing! While these decisions are typically subconscious, using fonts that speak to what your website and brand is about (without you have to describe it in words) carries a lot of weight when readers or brands approach your site. Sometimes enough weight that could even determine if a reader thinks your e-book is worth $20 or if a brand thinks your site will be a professional & trusted hub to direct their precious customers to. 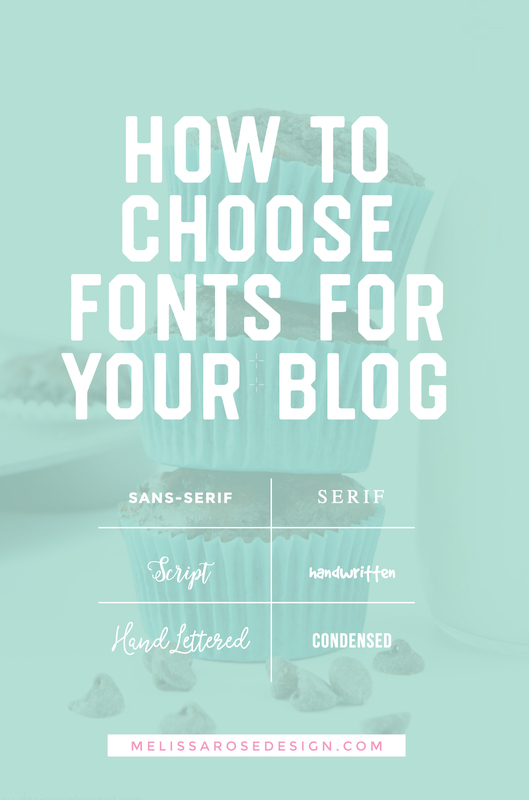 So how do you choose intentional fonts for your blog that speak to what you’re all about? Today I’ll be going over the meanings behind certain types of font styles so that you can look at them and apply them to your own brand. I’ll also be going over some examples from blog design clients I’ve worked with in the past to show you how the adjectives they provide to me in their questionnaires help shape the decisions I make when I’m designing their logos. 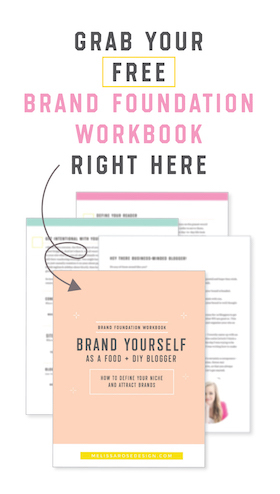 Before jumping into downloading 400 fonts, the most important and helpful thing you can do in creating an intentional brand look is to first determine what words best describe your blog/brand. Writing down 3-5 adjectives that personify your ideal brand is not only something I ask all my custom logo clients to do, but it’s also something all bloggers should do when working on elements for their brand. 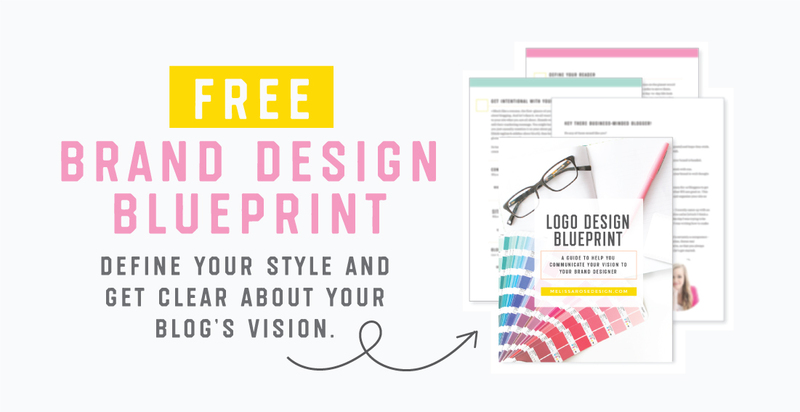 If you’re struggling to find clarity with your brand’s aesthetic look, I created a free Logo Design Workbook to help you narrow things down and work through these details. Without laying the foundation first, you will likely find yourself mulling over fonts every time you need to add text to your blog images, getting frustrated, and end up throwing something off-brand on there just to get the post out the door. Below are six examples of adjectives past clients have given me when I asked them to describe what they want their new brand to convey. You can see that the font choices I made were directly related to the feel they envisioned for their brand. For example, a “southern & feminine” brand is going to use much more delicate and soft fonts than a brand that is “bold, colorful, and fun”. 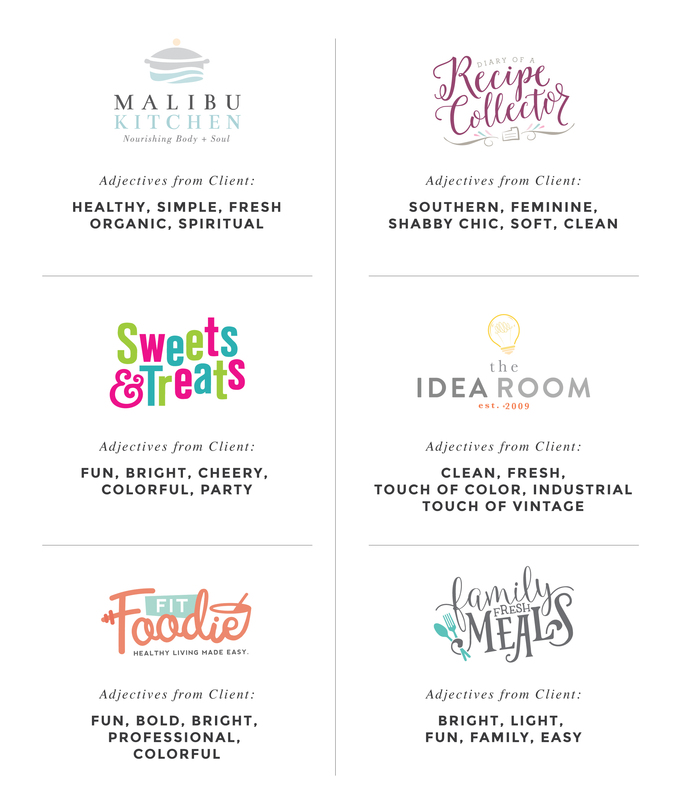 Once you’ve written down your brand’s adjectives, the next thing to do is match them to the type of font they describe. I’ve created a cheat sheet below as a starting point to help you see how different fonts can convey different feelings and messages. You’ll see how a serif font will give off a much more classic and timeless feel than a handwritten font that is meant to show more playfulness and whimsy. Once you’ve narrowed down your adjectives with 1-2 font styles, the next thing to do is use those words to search for fonts. So if you’ve narrowed things down to “Modern” and “Sans Serif”, search for terms like, “Modern Sans Serif Fonts”. Creative Market has tons of well-designed unique fonts that you can purchase or free sourced sites like FontSquirrel.com have some good options as well (although you have to be careful because it can be harder to find professional looking fonts on free sourced sites). 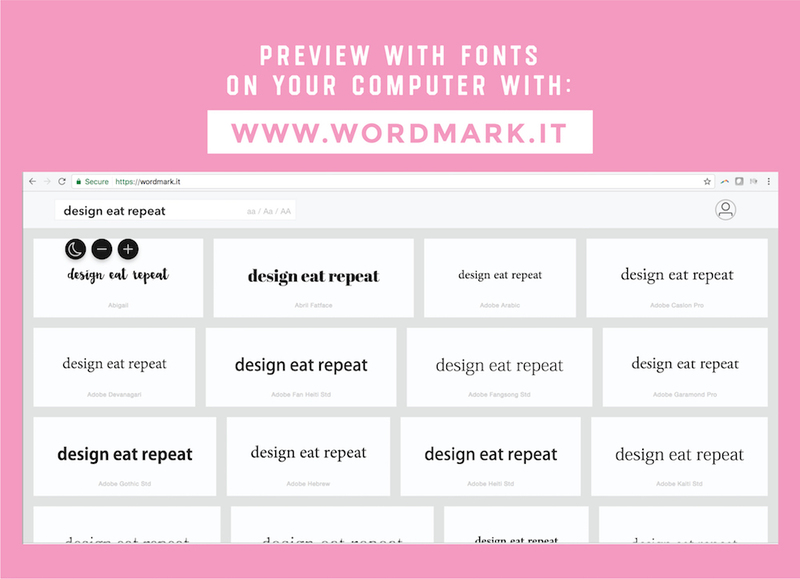 You can also use your own computer’s fonts as a starting point by using a (free) glorious site like WordMark.It that lets you preview ALL the fonts on your computer at once. It’s a tool I found out about years ago while in design school and it helps save so much time since you don’t have to go through and test out each font! Once you’ve narrowed down a few fonts, I suggest creating a template in a program like Illustrator so that you can test out different colors, sizes, and layouts. Finding the right fonts is only the starting point, as the next essential step to a cohesive brand is setting strict guidelines for how you will use those fonts in different branded graphics and materials. Later this week I’ll be sharing a post showing you how to start implementing your chosen fonts into blog graphics, so be sure to stay tuned to that. I think you’ll be surprised at how the font layout can dramatically affect the professionalism of your graphics. And that’s it for today! If you found this helpful, leave me a comment below with the 3-5 words that describe your brand. 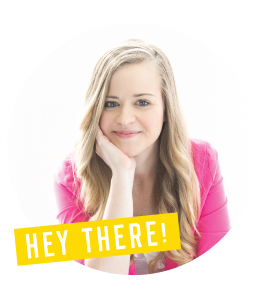 We’ll also be talking more about fonts in my free Facebook community for Food & DIY bloggers, The Branding Clubhouse, so if you’re not yet a part of the group be sure to join for more exclusive branding tips!